2 years ago, in May 2016, I decided to have an adventure and travel by free bus pass from Oldham to Paignton to visit my family who lived there. I’d done that journey many times by train, coach, plane and car and needed a change! It took me 4 days, staying overnight in 3 Hanover Housing Association (of which I am a resident) guest rooms at Walsall, Redditch and Bristol. I travelled on 24 buses, spent £40 on accommodation and NOTHING on transport. I met some fascinating people, journeyed through beautiful countryside, explored several towns, made copious notes, took a photograph every hour, and frequented as many Wetherspoons as I could – if only to use the loo! I loved every minute and vowed I would soon be planning my next trip. That same year I completed 4 trips in total, each one lasting about 5 days, and covered the country from Newcastle to Carlisle in the North and Paignton to London in the South. This amazing woman not only talks about litter spoiling our beautiful planet but leads by example and actually picks it up! 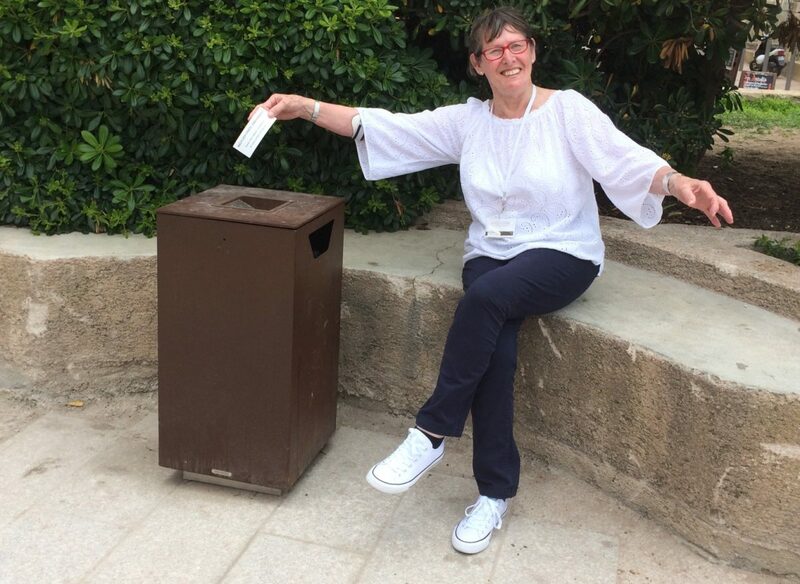 An energetic leader for change who manages to keep a wonderful sense of humour and sensitivity even when she speaks her mind to the people who drop litter without thinking… I’ve heard her and it’s a joy to behold! They won’t do it again…. Keep up the struggle…the World needs more people like Ruth….